Home » Houston Dynamo , LA Galaxy , MLS , MLS Cup , MLS Cup Finals , New England Revolution , USA » Is 5 the Lucky Number for New England Revolution? 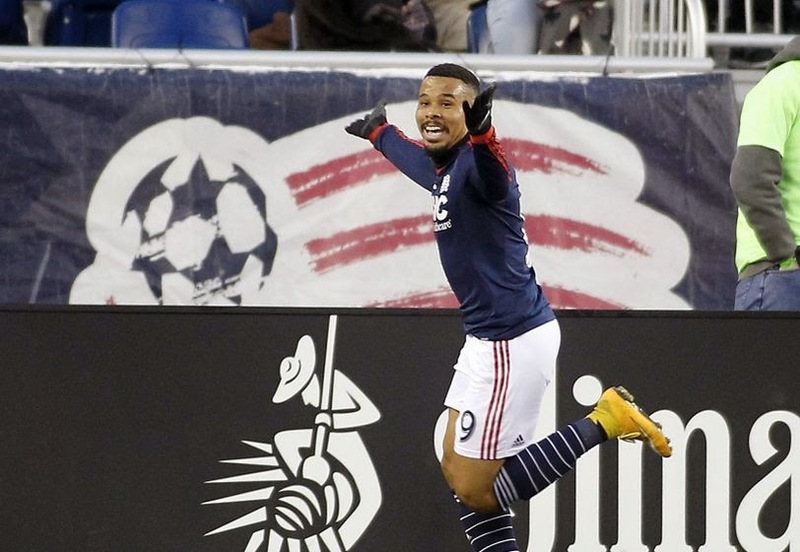 Is 5 the Lucky Number for New England Revolution? The New England Revolution are a "founding" club in Major League Soccer having competed in the league since its inaugural season in 1996. But as proud as The Revs' fans may be of the fact that their beloved club has been in the league for this long, it must be extremely frustrating for the New England faithful to except the fact that their club has never won the MLS Cup title even though they managed to make the finals an impressive four times. As a matter of fact, the Revolution have never claimed the Supporter's Shield trophy either (a trophy that is awarded to the club with the best overall record at the end of the season), and find themselves to be one of the only two original clubs to have never won either title. The other is FC Dallas (or the Dallas Burn as they were known when the league began), although Dallas has only made the MLS Cup Final once. So could the New England Revolution win their first MLS Cup title after 18 years, in their fifth MLS Cup Final appearance this coming Sunday? Well, the good news is that they are not playing the Houston Dynamo; a club that has defeated The Revs in their last two MLS Cup Final appearances in 2006 and 2007. The bad news on the other hand is that they will face the Los Angeles Galaxy, a club that defeated them in their first two finals matches in 2002 and 2005. Oh right, there's also the fact that this year's MLS Cup Final will be played at the Galaxy's home stadium, the StubHub Center. Nonetheless, The Revolution were pretty close in every one of their finals appearances, and could perhaps break their MLS Cup finals curse this time around. In 2002 the Revs faced LA at their home stadium in Foxborough in front of a sold out football stadium hosting over 60,000 fans at the venue. With the Galaxy having lost in their three Finals appearances prior to that year, a direct comparison can be made to this year's Revolution team. Having played to a 0-0 draw after 90 minutes, the match headed to a golden-goal rule extra-time frame. Galaxy's Carlos Ruiz was the hero, slotting a perfectly passed ball into the back of the net in the 113th minute. In 2005 New England headed back to the MLS Cup Finals. Although the opposition was the same as in 2002, the venue was now the home of FC Dallas, Pizza Hut Park (currently Toyota Park). Again the Revolution took LA into extra-time after a scoreless 90 minutes, and unbelievably again the Galaxy had won in the extra frame, after a 107th minute goal from second-half substitute Guillermo Ramírez. The Revolution made the finals twice more in consecutive years after their 2005 loss to LA; making three straight MLS Cup Finals appearances, unable to win a single one. In 2006 NE faced Houston in a finals that was played at the same venue in Friscoe, Texas as in the previous year. Another 0-0 draw after full-time forced the Revs to their third (of three) extra-time finals, all of which ended scoreless in the first 90. At about the 112th minute mark it seemed the Revolution have ended their bad spell of losing cup finals in the added frame. But a minute later, Houston's Brian Ching would tie the game up and force penalty-shootout, a competition New England would not win. The following year it was Houston once more, this time at the RFK Stadium in Washington D.C. For the first time in four appearances the Revolution would score before full-time, when Revs legent Taylor Twellman scored in the first half. But Houston would go on to score twice in the second-half, to complete a comeback that would ensure yet another New England loss in the MLS Cup Finals. For New England fans this coming Sunday represents the opportunity to forget the four previous losses. And perhaps doing it against a club who defeated them in the same stage of the competition twice before, and on their opposition's home soil would make it that much sweeter.